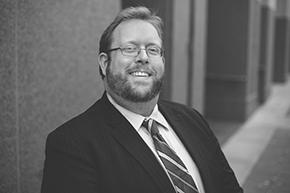 Understanding the importance of searching for creative solutions to difficult challenges whether prior to, during, or after litigation, Nick works tirelessly to advocate for his clients’ best interests. He immerses himself in litigation, enjoying legal research and writing to artfully present his case, and assertively questioning defendants. Nick thrives in the courtroom and has a winning record for jury trials, both at the state and federal level. Nick also represents clients in appeals and has experience preparing cases for argument before the Wisconsin appellate court as well as the Seventh Circuit. Nick’s success for his clients led to a published opinion from the Wisconsin Court of Appeals (Kraft v. Steinhafel, 2015 WI App 62) which helped clarify the law so that clients canhold negligent attorneys accountable. For family law clients, Nick listens carefully to individual goals of his clients and adjusts his litigation style accordingly, whether working toward an amicable solution or aggressively litigating complex property division cases and/or contentious child custody and placement issues. Nick also works with individuals seeking to express their property division wishes through a marital property agreement. Nick graduated with Honors from the University of Wisconsin Law School in 2010 and graduated as a James Scholar from the University of Illinois at Urbana-Champaign in 2001 with a Bachelor of Arts in Political Science. Nick is admitted to practice in Wisconsin, the United States District Court for the Western District of Wisconsin, the United States District Court for the Eastern District of Wisconsin and the United States Court of Appeals for the Seventh Circuit. Nick was honored to be named Time’s Person of the Year for 2006. Nick enjoys traveling, St. Louis Cardinals baseball, bacon, Game of Thrones, poker, and roller derby.